There are only so many times I can restart a game's campaign before I'm forced to admit there's a problem. With Age of Wonders III, that number was five. Five times I restarted the Age of Wonders III campaign, convinced this would be the time where it would click. Five times I restarted, convinced this would be the point where the "one more turn" 4X-disease would leech into my bloodstream and keep me up all night directing digital troops around. And you know what? On that fifth time, I was right. Still, a game that requires that much work to get hooked doesn't make a great first impression. 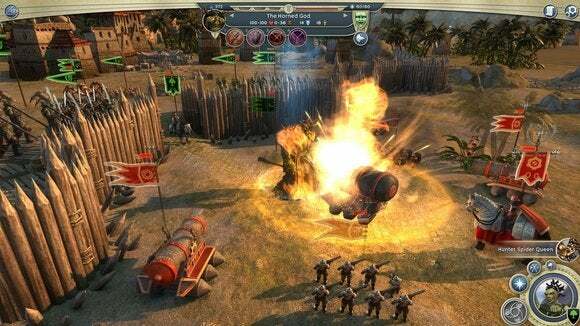 There's a good game inside Age of Wonders III. There's potentially even a great game inside Age of Wonders III—but only if you put enough time into it. Click to enlarge all images in this article. Getting started with Age of Wonders III is a hostile and intimidating experience, and not in the Dark Souls-esque "purposefully obtuse" way. 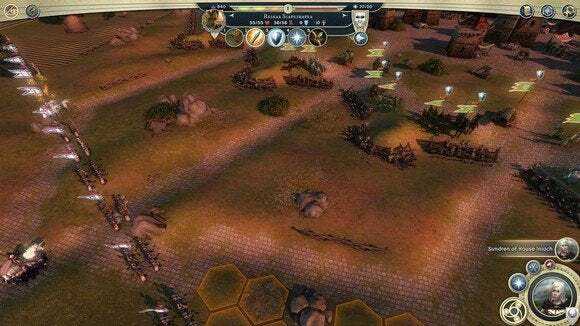 Age of Wonders III simply neglects about a decade of improvements in user experience, resulting in a game that feels opaque and unintuitive up front. 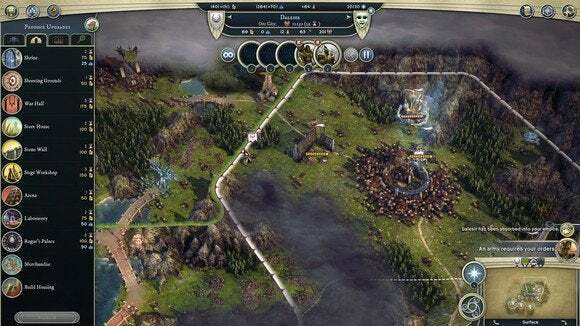 While 4X games are always complicated—there are a ton of systems to learn—a game like Civilization is good about giving you the small victories up front. You can feel like a decent strategist without delving too far into the game's mechanics, even if there's a lot of room left for you to improve. Age of Wonders III throws up roadblocks. Most of the tutorial hints are presented in text tooltips lengthy enough to have been written by Proust. Vital tactical techniques, such as the game's reliance on flanking, are left to these text explanations, so it's easy to lose the game's relatively easy battles early on without understanding what you're doing wrong. 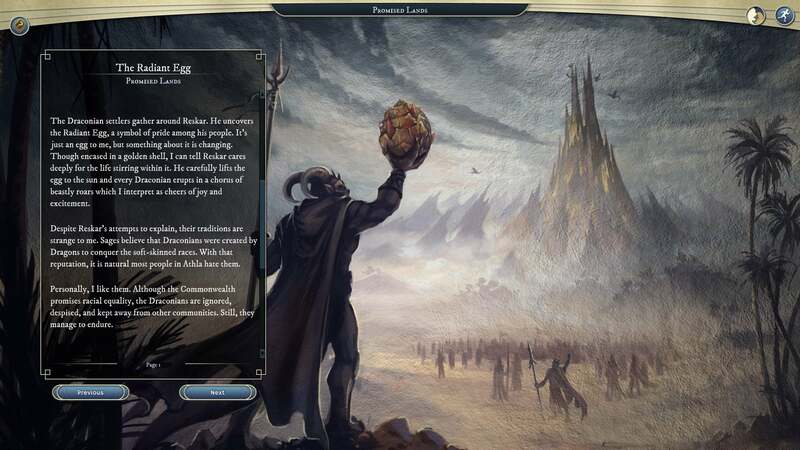 Age of Wonders III's story is delivered in big walls o' text. The story is no better. Most of the story is told through lengthy interludes between chapters, presented to you through one of the slowest text scrolls this side of Star Wars. The infodump nature of this method makes it hard to care about anything the campaign has to say. Elves, orcs, dragons—somebody started a war and somebody else felt betrayed and on we go. The writing and lore aren't bad by any means, but you have to force yourself to care. And that's the key to the entire game, really—forcing yourself to care about the game until you actually kind of do. That's not exactly a rousing endorsement. What's truly a shame is that, as I said, there's a good game in here. The strategic levels feels a bit thin: You always know (or at least have a decent idea of) the optimal building to construct next, and there were numerous points where I had cities completely idle because there was no benefit to building new structures. But the turn-based, tactical battles are fantastic chaos once you delve into the various tools available to you. Each army on the overworld map is limited to six units—so, say, your hero, two archers, and three melee units. Each army is limited to six units, but you can field multiple armies. 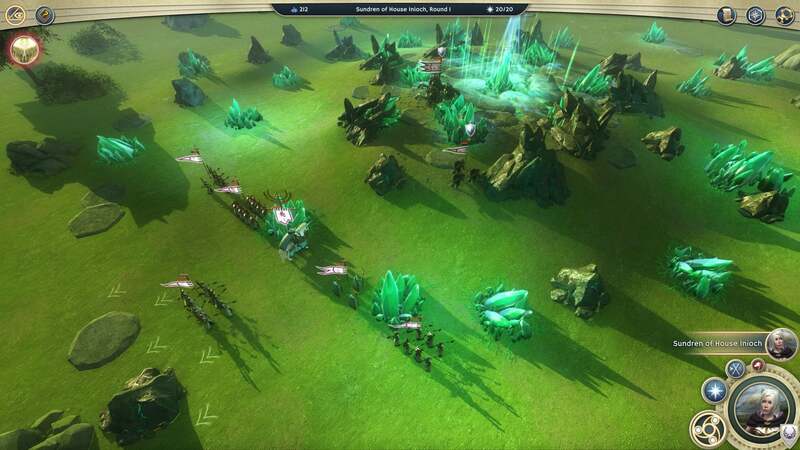 Battles, however, include the defender's hex and all six surrounding hexes, with individual armies positioned in each individual hex. With careful positioning, up to 42 units can enter the field at once between you and your opponent. It's pretty hectic. In fact, 42 units gets a bit tedious as you micromanage each individual move on every turn. I found that a solid 15 versus 15 battle was about the sweet spot, at least as far as my patience was concerned. More than that, and I started making dumb mistakes trying to rush through battles. You can also autoresolve combat, though the game seems to overly punish you in the process by killing off some of your best troops. I've fought battles with manual combat and come out with every unit intact, only to reload and autoresolve the battle and find half my units wiped out. Not too surprising, but it's annoying if you're tired of directing your troops around by hand. Autoresolve is probably going to be too costly to win a campaign with in the long run. And then there's the hero to pay attention to. Your army is fronted by a hero, who is basically just a superpowered unit with a name and some light RPG elements. As you win battles your hero will level up, adding abilities to armies he or she controls—for instance, the ability for all units under a hero's command to scale walls with no movement penalty. It's a neat system that gradually changes the game over time and allows you to create a custom play style, but like most 4X systems you probably won't know what's actually useful or important until your second or third time through the game. 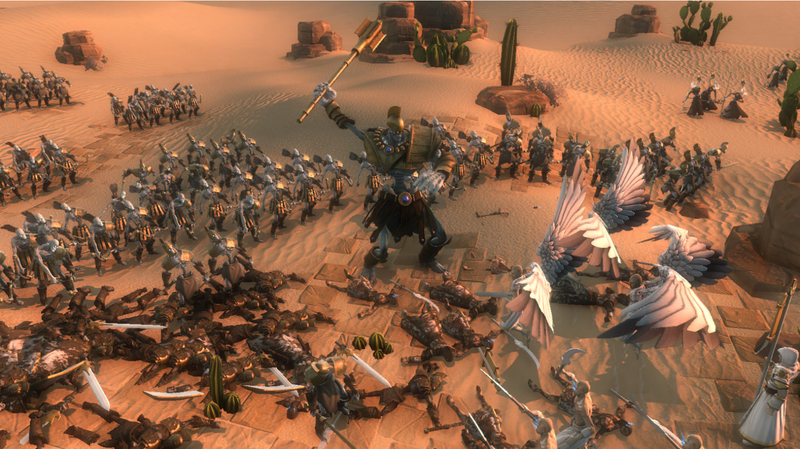 The light RPG elements add a lot to Age of Wonders III. The campaign is also weird in that you'll switch characters between levels, requiring you to redo a lot of the research you'd already uncovered. In a real match, however, this isn't an issue. I actually think Age of Wonders III is probably a deeper, better 4X game than its recently-released, also-fantasy-themed counterpart, Warlock 2. Once you actually get into Age of Wonders III there's a great tactical combat game and a fairly good strategic level to entertain you. But getting into Age of Wonders III takes patience and resolve—more than any 4X game should require in 2014, considering that the fundamentals of the genre haven't changed in years. 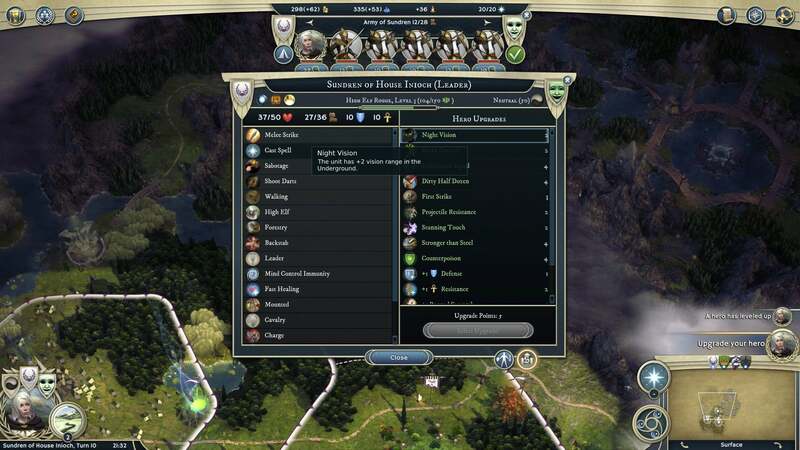 Age of Wonders III flubs basic user interactions, and as a result is a chore to get started. Persevere and you might find yourself conducting diplomatic negotiations between two warring orc factions at three in the morning. But I won't blame you for giving up far before you reach that point. Age of Wonders III is an excellent game, but it takes perseverance and patience to get deep enough in to see all it has to offer.